" A walk on the beach led me to this: transient patterns drawn in the sand by a constantly shifting world. 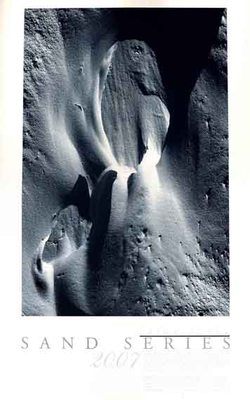 Shaped by the wind into an uneven terrain that is as smooth as it is ominous, crevices fine and delicate run across the dune, contoured like the waves that created it. And right in front of me, a half-buried memory, the sun carving shadows around its forgotten magnificence.